Matt and I are both from Escanaba, MI. We got married on June 16, 2001. We have two daughters, Chloe is 4 and Allie is 2. We lived in Wausau WI for 6 years after we were married. In September 2006, Matt was able to take a job transfer back to our hometown. 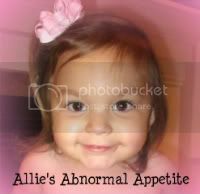 We enjoyed living by family and really appreciate all of their support during Allie's medical issues. Unfortunately, Matt was transferred back to Wausau in August 2010. 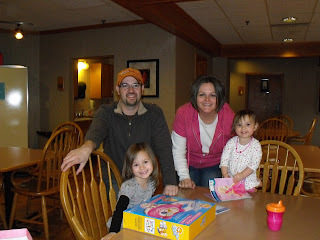 Our little family of 4 (& 2 cats) are enjoying Wausau and everything it has to offer. We miss family, but overall we are happy to be back and closer to the Children's Hospital of Wisconsin. Matt has a BA in Mechanical Engineering and has a full time job at a power plant as the Coal and Yard Supervisor. I have a BA in Business Management and I am now a stay at home mom and manage the family, or at least I try to. Chloe is in preschool 3 times a week and loves it. She is also involved in dance and is our dancing queen. 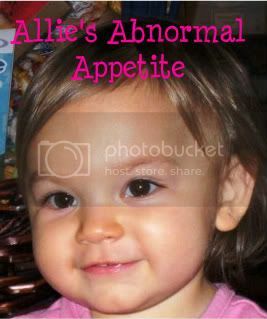 Allie currently stays at home with me since she is involved in 3 different therapies. She has mental health, speech and occupational therapy that keeps her very busy. Allie is very spunky and full of life. We are a typical family from the Upper Peninsula and we enjoy camping, 4-wheeling, snowmobiling and spending time at our cottage on Straights Lake. Of all things, family is the most important and we feel very blessed to be surrounded by such great family!